Lumbar bone spurs are growths or accumulations of arthritic debris that form on the surfaces of skeletal tissues, such as vertebral bodies and spinal joints. Osteophytes, as they are called medically, are normal parts of spinal aging and are typically found in the spines of adults past the age of 40, particularly in areas of high activity and degeneration, such as the lower back and the neck. Bone spurs are not inherently painful or problematic. In fact, the vast majority of arthritic spurring will not cause the patient any discomfort or dysfunction. In select circumstances, osteophytes can impede normal joint movement or create painful mechanical interactions between bony surfaces. Additionally, these arthritic outcroppings also have the potential to narrow the effective diameter of the central vertebral canal, enacting spinal stenosis, as well as reducing the patency of the neural foramina, creating foraminal stenosis. This guide examines the growth of osteophytes in the lumbar spinal region and provides an evidence-based look at the effects created. We will provide details on how bone spurring can become symptomatic and in these cases, how it should be treated using the most effectual therapeutic interventions. Arthritis is a normal part of spinal aging in its osteo form. The arthritic processes are encouraged by the desiccation of the intervertebral discs and the breakdown of the protective measures in the spinal joints. Discs will degenerate, bringing the spinal vertebral bones closer together and increasing the frequency and severity of interactions. Simultaneously, the protective cartilage and synovial fluid in the spinal joints wear way and this exposes the bony surfaces to direct contact from other bony surfaces. The result of this is friction and the creation of arthritic debris as vertebra rubs against vertebra. Spurs can form when material is “excavated” from vertebral surfaces or when accumulations of arthritic debris cling to skeletal surfaces and bond to the bone. Osteophytes can form on any part of the vertebra, but tend to accumulate near areas of activity and interaction, such as on and around the facet joints, neural foramina and on the edges of the vertebral bodies. The formation of osteophytes on the spinal structures is normal, expected and universally experienced in most patients by the age of 40. Arthritis continues for life, but it should be noted that most cases diagnosed as being symptomatic do not occur in the elderly. Instead, they occur in people aged 40 to 60 and in expressions that are much less clinically significant than that found in senior citizens in virtually every case. This already causes concern for any care provider who embraces a purely structural philosophy of pain, since the data just does not seem to make sense. The majority of arthritic spurring is not felt by the patient and will not cause any pain at all. Some spurring will create mild arthritic symptoms, including minor pain upon movement and general spinal stiffness. These case profiles are normal, as a small degree of discomfort from aging is also typical. Mechanical pain can occur when bone spurs prevent normal joint mobility or create painful joint movement due to structural impediment of the joint components interacting against one another. Spurs can also compress small nerves that reside within the spinal joints and provide innervation to the joint tissues. 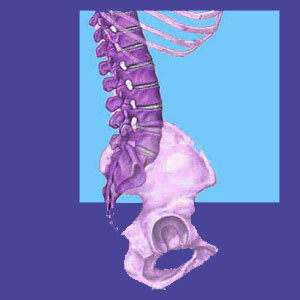 Spurs can form at the ends of the vertebral edges and interact painful with osteophytes formed on the opposing vertebra. Finally, spurs can form inside the central vertebral canal or around the neural foramen creating stenotic blockages and the possibility for neurological compression of the nerve roots or spinal cord. Depending on the exact type of pathology being created, symptoms can range wildly. In general, mechanical pain will be related to joint movement and might even prevent joint mobilization altogether. Nerve compression inside the facet joints will produce hot, sharp localized pain that might also create tingling and numbness locally. Any type of true spinal stenosis leading to nerve compression of major neurological tissues (nerve roots and spinal cord) should produce an evolving pattern of pain, tingling, numbness then weakness, followed by abject dysfunction. In the case of compressed nerve roots via foraminal stenosis, these symptoms will be expressed in the innervated locations of the body. In the case of central spinal stenosis, the effects can be wide-ranging and greatly debilitating. Lumbar bone spurs can usually be easily treated as long as they are verified as the actual cause of pain through the existence of correlating pathology. A comprehensive diagnostic evaluation should be able to pinpoint focal areas of problematic spur formation. Many cases of osteophyte growth can be resolved completely with minimally invasive surgical techniques, such as foraminotomy. Other cases require more dramatic operations, such as laminectomy. There are many laser-assisted approaches to care that can vaporize bone spurs on the facet joint structures, eliminating mechanical pain with a short recovery time. There are few, if any, nonsurgical solutions for osteophyte formation. Some spinal decompression systems claim adequate benefits for select cases of facet joint pain and for indicated patients, consideration of this nonsurgical path might be advised. However, it should be noted that time alone resolves many troublesome osteophytes. As bone surfaces interact, the spurs might be worn away organically, preventing the need of any type of treatment. However, the continuous interactions can also make spurring worse, so the path of progression of osteophyte-derived pain is quite unpredictable.